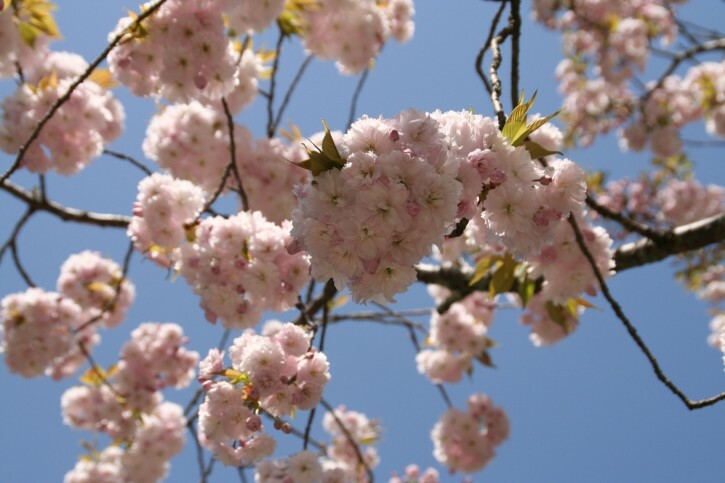 The Yae cherry blossom, in the family line of the Sato cherry blossom, blooms in early May each year. The big, rose-pink flowers grow gregariously and very close together, and its stalks are quite short. Emperor Horikawa used the name “Shiogama” cherry blossom in his poetry, written in the Heian period. You can find the name in the novels of Saikaku Ihara or Gikyoku by Monzaemon Chikamatsu from the Edo period. It was very famous. The cherry blossoms of Shiogama shrine were designated as a natural monument in the15th year of Showa and recognized as a famous breed from ancient times, but they withered and died. In Showa 34, its status as national monument was temporary revoked. However, Shiogama shrine worked to nurture and develop the saplings of this cherry tree which were planted on the grounds of the shrine, and it has since reclaimed its status as a natural monument. Today it remains one of the ancient types of cherry blossom, and has immense cultural and scientific value. Designated on December 17, 62nd year of Show (1987).